​​​ EL PASO – A $70 million restoration is underway at the landmark Hotel Paso Del Norte, formerly the Camino Real. Located in the Downtown Historic District at 101 S. El Paso, the 105-year-old hotel has been listed on the National Register of Historic Places since 1979. 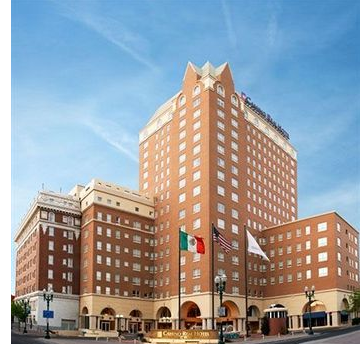 Los Angeles-based InterServe will lead the renovation, said officials with the Meyers Group, a Miami real estate development company that purchased the 105-year-old hotel in October 2016. The renamed Hotel Paso Del Norte will be franchised as a Marriott Autograph Collection Hotel.